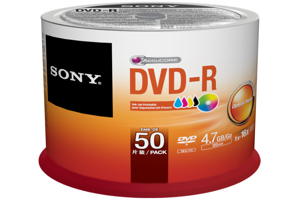 Ink jet printable DVD-R with 16x-speed, supplied in 50-pack spindle box. The Sony 50DMR47PP is ideal to personalize and get professionally-looking media for easy archiving, theming and fun. Perfect for music and movie collections, business presentations, demo discs and duplication!